the Newton's Nook Designs blog! 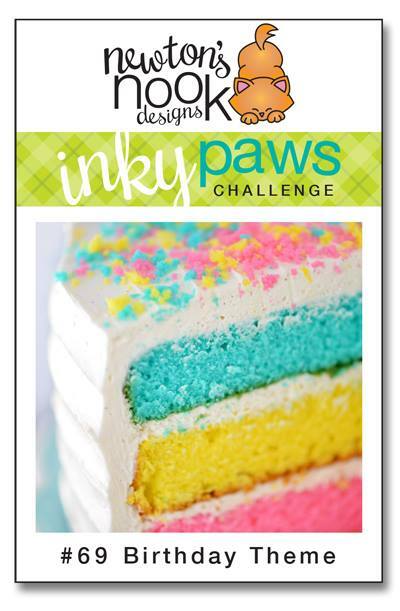 This Biweekly Challenge was a THEME Challenge. 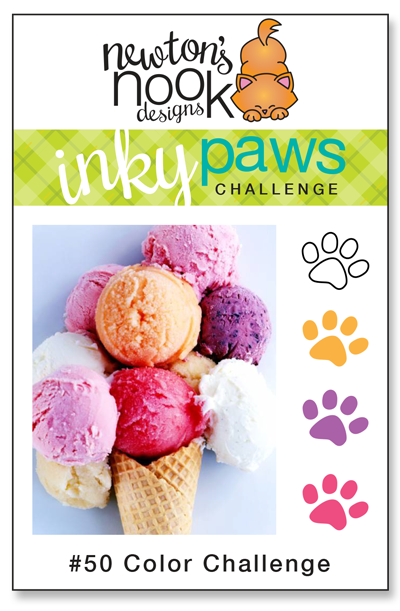 Inky Paws Challenge #69 Winner! 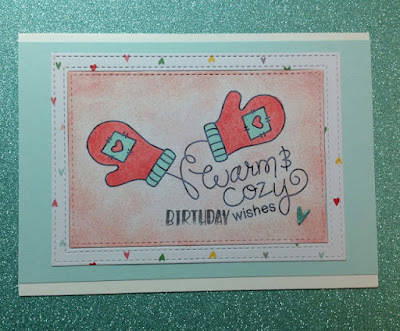 Debbie Rossman uses Warm and Cozy, a Newton's Nook Designs free digital image, to create this sweet card. The distress edges and the heart-paper layer are fabulous touches to make this a great way to wish someone Happy Birthday! 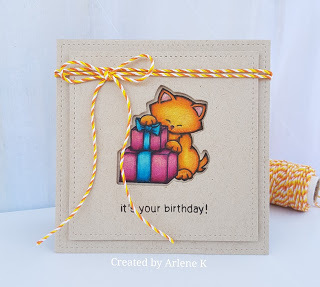 Irene creates a wonderful CAS birthday card using Newton's Birthday Bash stamp set. Just love her use of the bright green, especially her watercolored background behind Newton! Simply adorable! 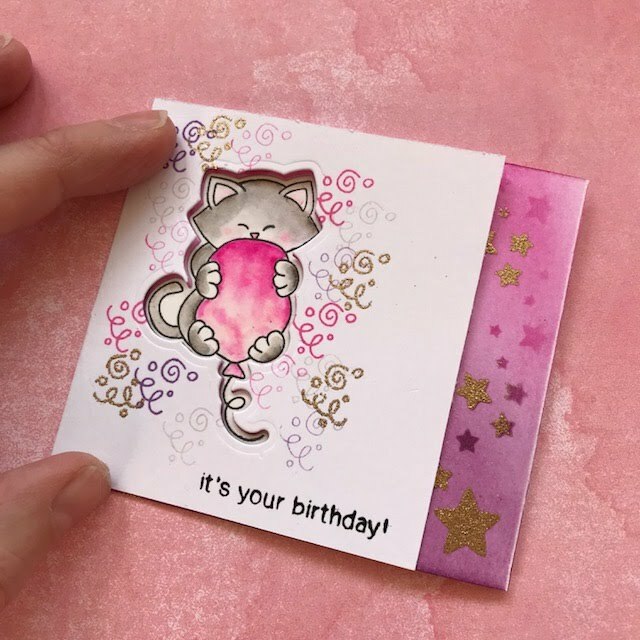 Arlene's CAS card has all the elements purr-feclyt aligned to create this amazing card using Newton's Birthday Bash stamp and die set. Love how she used the die cut to create the dimension as well as the twine! Claire creates this fabulous birthday card. We love the black background with the white-embossed sentiment, and then there is the added stitching! 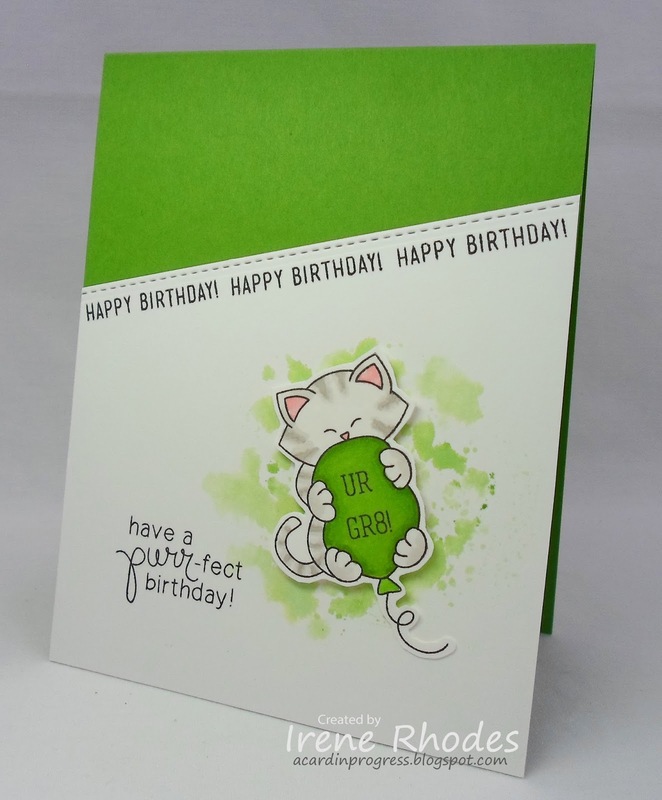 What a fabulous way to show case this sweet kitty from Newton Loves Cake stamp set. 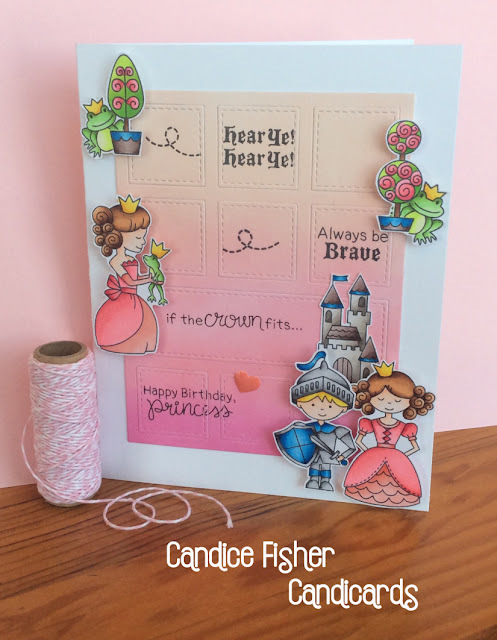 love how she made a tri-fold card design with a die cut window using Newton's Birthday Bash stamp and die set as well as her gold embossed elements! Super festive and fun! Once Upon a Princess stamp and die set, Candice creates a scene, no make that a story, that delights the audience! Fabulously done! Thank you so much for featuring my card!! Woohoo😃! !